Amsterdam, 12 September 2017 – The ESOMAR Foundation has announced the appointment of John Kearon as their new President. He will succeed Gunilla Broadbent who has covered this role since the creation of the ESOMAR Foundation in 2013 and has been the driving force of the founding board. 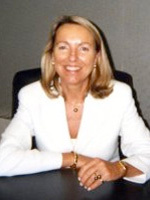 The ESOMAR Foundation wishes to warmly thank Gunilla for her dedication and for her belief that through the Foundation the wealth of knowledge and experience that is represented in the market research industry could be applied to every aspect of society to ensure a more transparent, reliable and sustainable world. Gunilla has ensured a smooth introduction of the Foundation into the world of philanthropy and has run the Board of Directors with commitment and enthusiasm. The ESOMAR Foundation welcomes John Kearon and wishes him all the best in his new role. John, together with the other Members of the Board (Phyllis Macfarlane, Angela Canin and Anna Alu’) will take over responsibilities for setting and achieving the objectives and policies of the ESOMAR Foundation. John’s role in conceiving and leading BrainJuicer Group PLC, now System1 Group PLC, made him Ernst & Young’s ‘Entrepreneur of the Year’, the ARF’s Gold Award for Research Innovator and four times winner of ‘Most Innovative Market Research Company’. 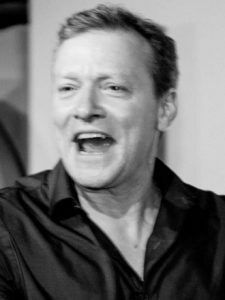 As one client commented, “John’s a mix of Richard Branson and Colin Firth, with a healthy dose of Monty Python thrown in”. A popular speaker at industry events and winner of many awards, including two ESOMAR prizes. John believes that Understanding the human condition, to better the human condition is essential for making the world a better place. The ESOMAR Foundation is the charity arm of ESOMAR, the global industry association of Market, Social and Opinion research. The ESOMAR Foundation has been set up to explore how to use the knowledge, skills, creativity, interest and resources of researchers to help charities improve people’s lives around the world through greater human understanding. ESOMAR Foundation believes that a fair, just and peaceful society is deserved by all and recognises the immense promise that the research community offers to those striving to achieve these goals on a global level. We bring volunteers and resources together to execute projects and provide financial support to help and support charities and NGO’s to achieve their aims. ESOMAR is the global voice of the data, research and insights community. With more than 5000 individual and over 500 corporate members from over 130 countries, ESOMAR is a truly global association. We promote the value of market, opinion and social research and data analytics and represent more than 35,000 professionals including all those who use research for informed decision-making. We’ve been providing ethical and professional guidance and advocating on behalf of our global membership community for 70 years. Women’s month is every month! The ESOMAR Foundation charity draw is now open!